The lipid bilayer is the most basic structural element of cell membranes. 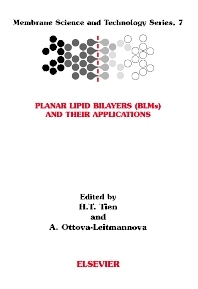 A wide range of topics are covered in this volume, from the origin of the lipid bilayer concept, to current applications and experimental techniques. Each chapter in this volume is self-contained and describes a group's research, providing detailed methodology and key references useful for researchers. Lipid bilayer research is of great interest to many because of it's interdisciplinary nature. Biochemists, biophysicists, colloid and surface chemists, electrochemists, physicists, physiologists, biotechnologists, and others working on membrane phenomena and ultrathin films.